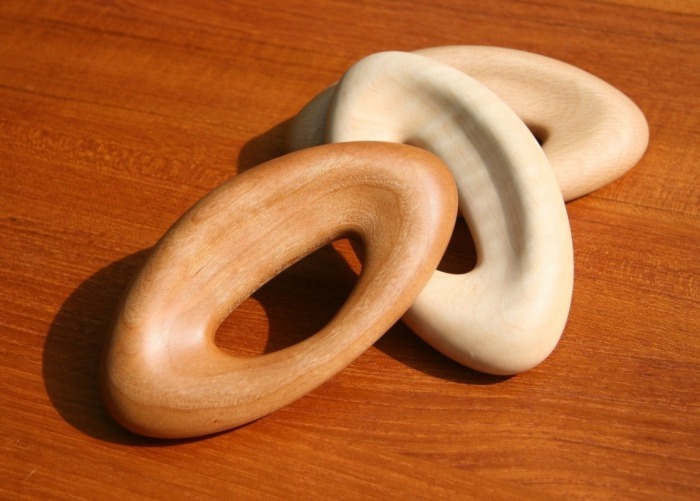 Wooden Baby Rattle. This rattle is so much fun. Organically-shaped of natural wood, loved by babies and adults alike. They are hollowed from the wood of your choice: hard maple, black cherry, or American beech. Filled with peppercorns, they make the nicest noise: not too loud, not too quiet. 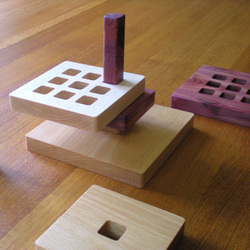 We normally finish the rattles with a food safe beeswax-based wood preserver. If you prefer, however, we’ll happily leave it unfinished. 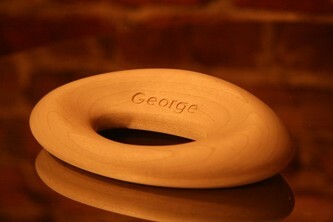 Please specify your wood preference and, if desired, a name to be engraved. 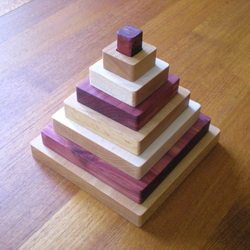 Wooden Stacker Toy. Distinct wood species, differing sizes, and multiple stacker holes allow endless possibilities for redesign. 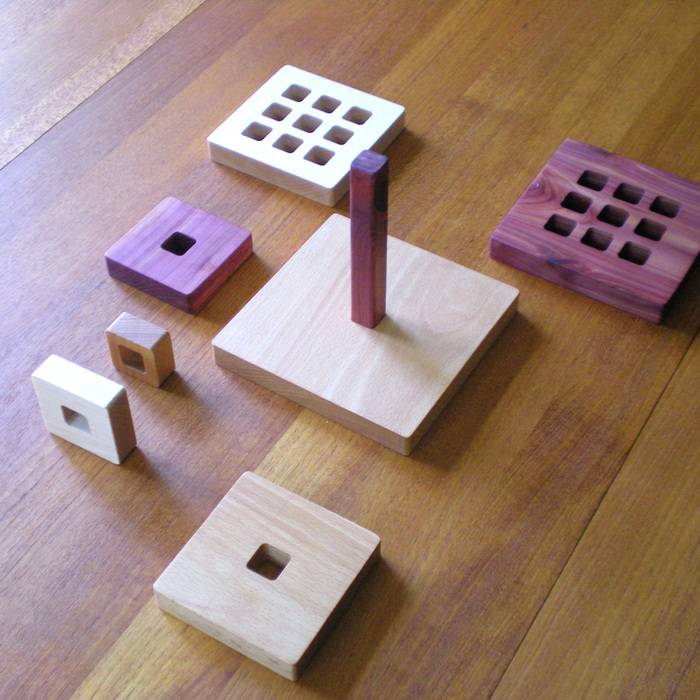 Beech, cedar, and maple with beeswax-based wood preserver finish. Candy Machine. Modern twist on a classic.